Kameelah Janan Rasheed (b.1985) is a Brooklyn-based interdisciplinary artist, writer, and former public high school teacher from East Palo Alto, CA. Rasheed’s work has been exhibited nationally and internationally. Her work has been presented at the 2017 Venice Biennale, Institute of Contemporary Art - Philadelphia, Printed Matter, Jack Shainman Gallery, Studio Museum in Harlem, Bronx Museum, Queens Museum, Schomburg Center for Research in Black Culture, Brooklyn Academy of Music, Pinchuk Art Centre, and others. Her work has been written about Artforum, Guernica Magazine, The New York Times, Art 21, BOMB, *Hyperallergic, *ArtSlant, Frieze, among others. She is the recipient of several awards and honors including the Denniston Hill Artist Residency (2017), The Laundromat Project Alumni Award for Art in Community (2017), Harpo Foundation Grant (2016), Magnum Foundation Grant (2016), Creative Exchange Lab at the Portland Institute of Contemporary Art Residency (2016), Smack Mellon Studio Residency (2016), Triple Canopy Commission at New York Public Library Labs (2015), Lower East Side Printshop Keyholder Residency (2015), A.I.R. Gallery Fellowship (2015), Queens Museum Jerome Emerging Artist Fellowship (2015), New York Artadia Grant (2015), Bronx AIM Fellowship (2015), Process Space Lower Manhattan Cultural Council Residency (2015), Art Matters Grant (2014), Rema Hort Mann Foundation Grant (2014), Center for Book Arts Residency (2013), The Laundromat Project Create Change Fellowship (2013), Center for Photography at Woodstock Residency (2012), among others. 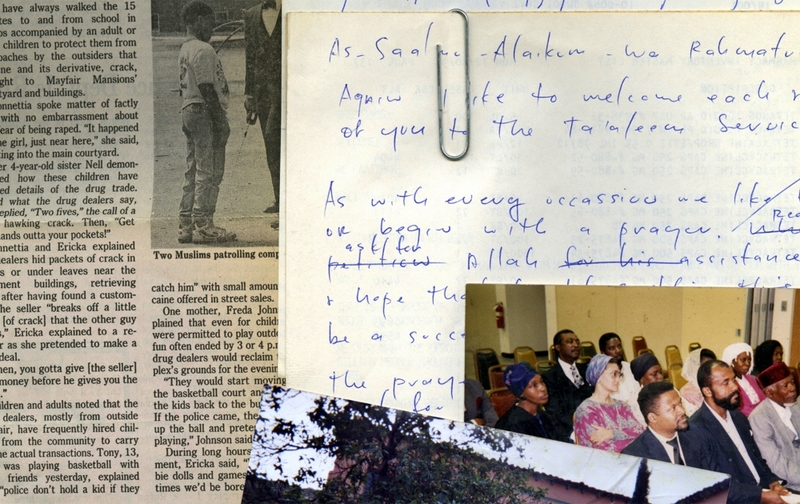 Rasheed is the founder of Mapping the Spirit, a digital archive that documents the textures and nuance of Black religious experience in the United States through longform interviews, photography, video, and ephemera. She is on the faculty of the MFA Fine Arts program at the School of Visual Arts and also works full-time as a social studies curriculum developer for New York public schools. A 2006 Amy Biehl Fulbright Scholar to South Africa, she holds a BA in Public Policy and Africana Studies from Pomona College (2006) and a M.A. in Secondary Social Studies Education from Stanford University (2008). Artist Talk for Sorett's "Spirit in the Dark: A Religious History of Racial Aesthetics"